For those who want to stay in a Four Star Resort, with all amenities close by, our Signature Package is adventure and luxury in one. And for those who want some fun off the water, you can relax in the Spa, soak up some sun on the deck, and stroll through the quaint shops nearby. Need some extras to convince the non-fishing friends or family in your party to come with you on this vacation? Let a little west coast pampering do the work! If a relaxing getaway with only the best is what you’re looking for, you’ll love our Signature Package. Accommodation in a 4 star resort overlooking the ocean with restaurant and spa. 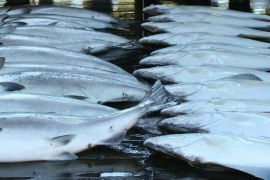 Vacuum packing and cleaning of your catch. Vacuum packing makes transporting your fish much simpler, and it preserves the fresh taste of your catch even at home! We use professional grade vacuum bags and proper washing techniques to ensure that your fish are well taken care of. All you have to do is pick them up at the end of your fishing trip! 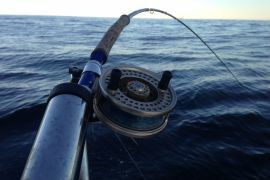 Guided fishing on one of our 25-29 foot boats, with your party exclusively. All necessary gear is included, and our covered boats will keep you dry and warm. All our boats have toilets on board. 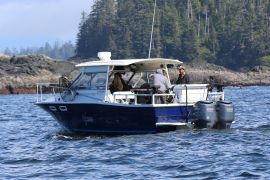 Our fishing equipment is top of the line and includes Scotty downriggers and 10.5 ft Shimano rods and reels..
Add a Spa treatment to your Signature Package – Choose from facials, pedicures, hot stone treatment, sea kelp salt scrub & moisturizer, massage, therapeutic seaweed soak, and more.